Our Boston personal injury lawyers know such cases require a thorough understanding of both state and federal negligence law. In Partenfelder v. Rhode, a case heard in the Wisconsin Supreme Court, a freight train hit a minivan. According to the record, the local police department sent a letter roughly two weeks before the fatal accident to a member of the rail police. The letter stated the town would be holding a Memorial Day parade, which might increase pedestrian traffic in the area along the railroad tracks. The letter asked the rail police to notify all train conductors of the possibility of pedestrian and vehicle hazards on the tracks at a particular location. The letter did not request that trains operate at reduced speed. The officer did not get any response to his letter and sent another copy of the same letter the following week. The rail police officer who received the letter sent a memo to the train dispatcher, who generated a special bulletin telling train crews to sound the warning bell continuously and look out for crowds at a particular location. On the day of the parade, the plaintiffs took their children to the event. They took two cars because there wasn’t enough room in one car for the children and their bicycles. 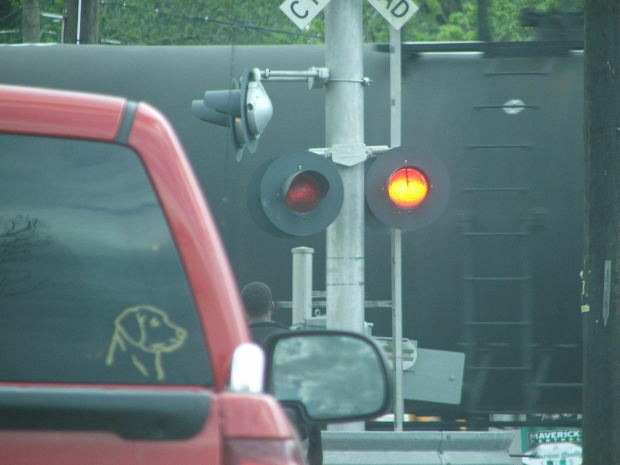 When they approached the railroad crossing, traffic suddenly came to a stop. The gates came down, trapping the mother’s van in between them. The father was able to drive his car off the tracks when traffic started moving again. A police officer saw the minivan on the tracks and told her to move but the van was stuck. The van then spun and was parallel to the tracks. The train engineer applied the brakes but there was not enough room to prevent a collision. Prior to the crash, the father was reaching in the back of the van trying to get his son out of the car when the train hit them. Somehow, the child was not injured in the crash but the father and the police officer were. Accident reconstruction experts concluded that the train was traveling under the legal speed limit, and crews were sounding the bell as required by the bulletin. The family filed a lawsuit claiming that the train operator failed take appropriate precautions in response to the police letter. The trial court granted the defendant’s motion for summary judgment on grounds that a federal railway safety law preempted the plaintiff’s claims of negligence. Generally, states are permitted under the U.S. Constitution and the Bill of Rights to make their own laws that pertain to local issues. However, Congress may create national laws in certain areas such as those that affect interstate commerce, as is the case with railroads. In this case, the plaintiffs are arguing that the minivan on the tracks constituted a “specialized hazard” which falls outside of the federal law. On appeal, the court affirmed the trial court’s decision to grant the motion for summary judgment with respect to any negligence when the train crew saw the van but reversed the trial court with respect to any negligent conduct in response to the warning letter from police. This case was remanded for further proceedings consistent with the court’s order.